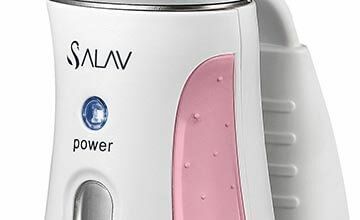 The SALAV TS-01 Travel Hand Held Garment Steamer provides powerful steam on the go. It’s compact, easy to fill and use. The 2-in-1 handle and measuring cup gives you the precise amount of water you need. 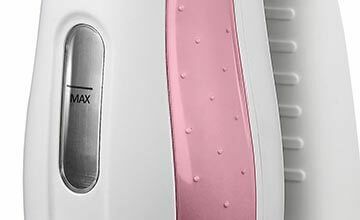 The TS01 garment steamer also has a patented backflow system that will prevent water from pouring or spitting out. 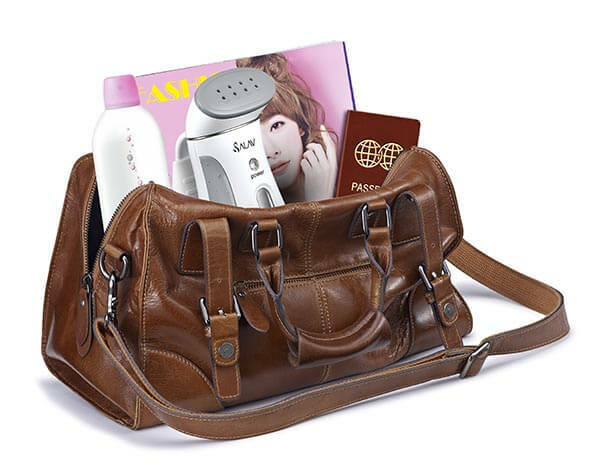 Best of all, the automatic voltage adjustment feature will adapt to any country’s voltage requirement, making the TS-01 clothing hand steamer your perfect travel companion. This fashion forward hand held steamer comes in 6 fun colors and it’s perfect for travel or give as a gift. 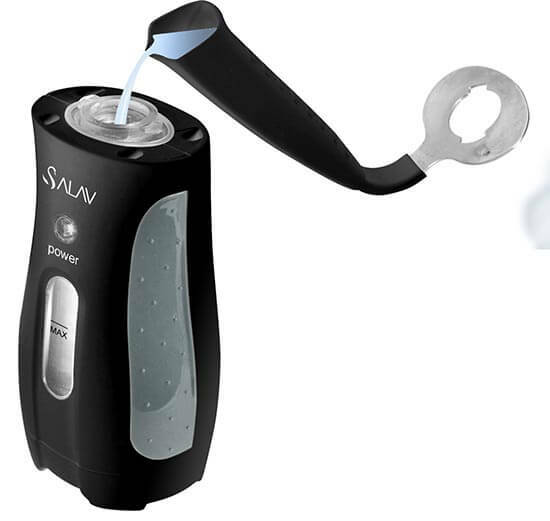 The SALAV TS01 Hand Held Garment Steamer is compact, easy to fill and use. 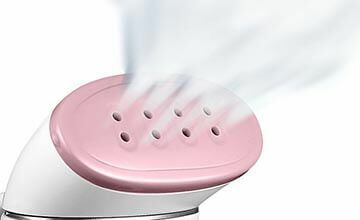 The TS-01 provides up to 10 minutes of powerful steam and heats up in a quick 150 seconds. The 6 foot power cord and lightweight design makes it simple to use. With 265 watts of powerful, continuous steam reaching temperatures of 208 degrees F, the SALAV TS-01 Hand Held Garment Steamer can safely, effectively and naturally sanitize and straighten your garments. Bright power indicator for ease of use and convenience. Clear front water tank for ease of use & fill. 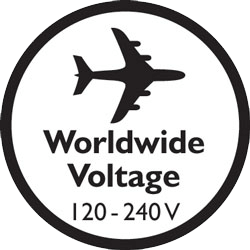 Built in auto voltage will adapt to any country’s required voltage. 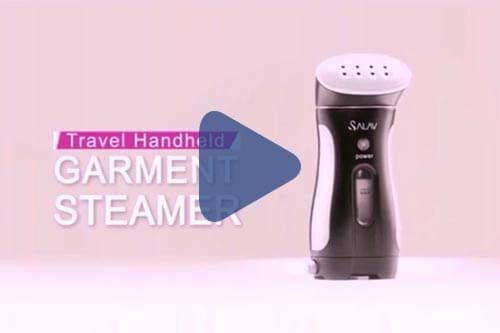 At just over 1 pound and less than 8 inches tall, the SALAV TS01 hand held steamer is the perfect travel accessory to keep you looking good on the go. Happy Travels! Easy to open twist top nozzle opens and locks in place with a simple twist. 2 in 1 handle and measuring cup for an easy, spill free fill each time. SALAV Patented Aluminum Boiler automatically switches to standby mode when water runs low or when not in use. This safety feature helps prevent against overheating and prolong the life of your steamer.